Glass chest, ca. 2005, Preston Singletary, Tlingit, b. 1963, glass, 24 x 31 x 18 1/2 in., Michael and Leslie Bernstein, © Preston Singletary, Photo: Russell Johnson, courtesy of the artist. Kwak'wanigaml (Heron headdress), ca. 1890, Herbert Johnson, (Gayusdisa'las) Kwakwaka'wakw, Kwikwasutinexw, Kingcome, died 1953, red cedar, nails, paint, 26 x 13 1/2 x 17 in., Seattle Art Museum, Gift of John H. Hauberg, 91.1.31. Photo: Paul Macapia. 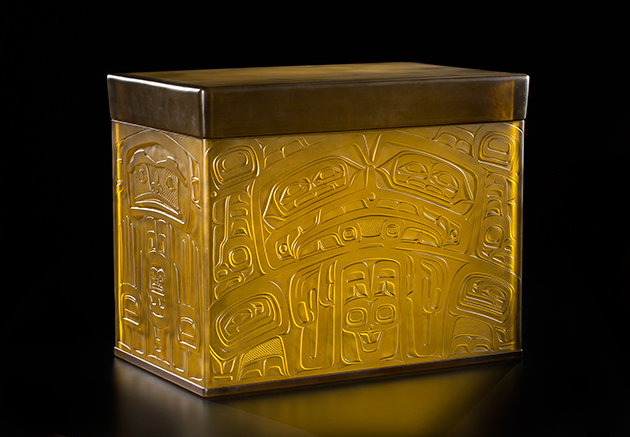 In conjunction with Indigenous Beauty: Masterworks of American Indian Art from the Diker Collection, the Seattle Art Museum presents Seattle Collects Northwest Coast Native Art, a complementary exhibition of 60 Northwest Coast Native works drawn from local private collections. 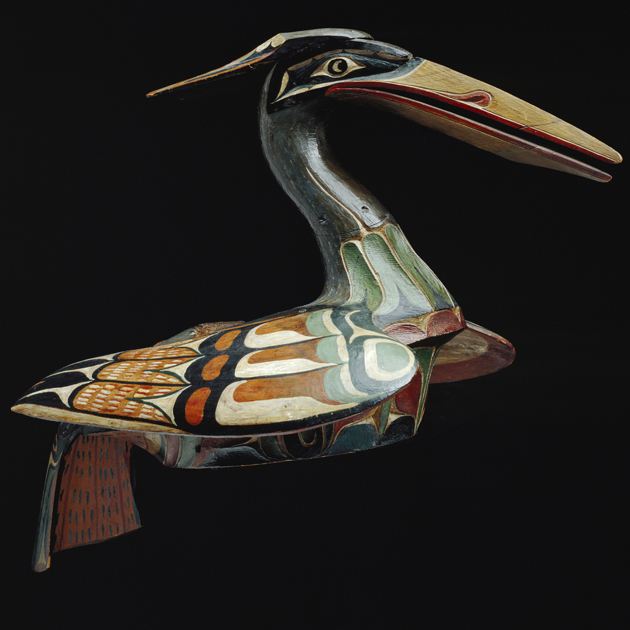 Iconic masks, wood sculpture, argillite carvings, and weavings reveal the unique styles developed over generations—from pre-contact to the present—by Native artists living along the Pacific coast and its inland waterways.